Newly developed CMOS Sensor is employed to achieve superb picture quality. The 1.47 Megapixel CMOS Sensor have wide dynamic range and, in principle, no smear. 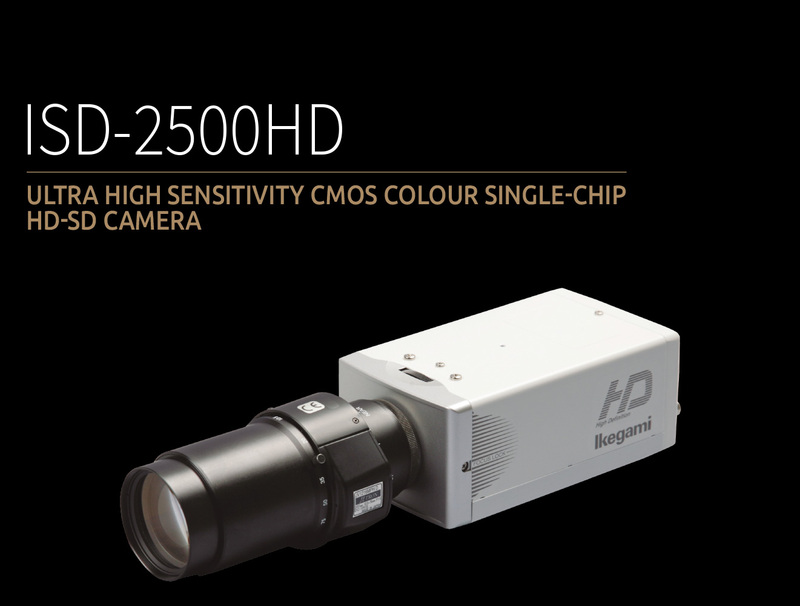 The Sensors include significant circuitry within the sensor itself, resulting in a digital video interface between sensor and Ikegami Camera DSP, all in a very small device with low power consumption. HD-SDI (59.94i, 50i, 30p, 25p) and NTSC or PAL (4:3) can be output simultaneously. RS-485 also available.